It’s National Panini Month, and you can lighten up your lunch with these homemade, healthy panini recipes. 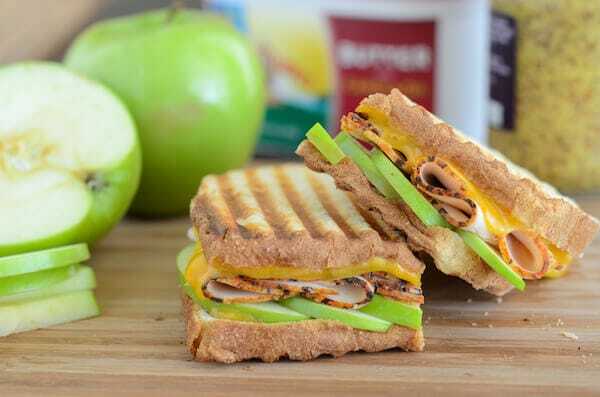 First up is a classic combination in this Apple, Cheddar, and Turkey Panini. Go meatless with this light and satisfying Vegan Caramelized Onion and Mushroom Panini. 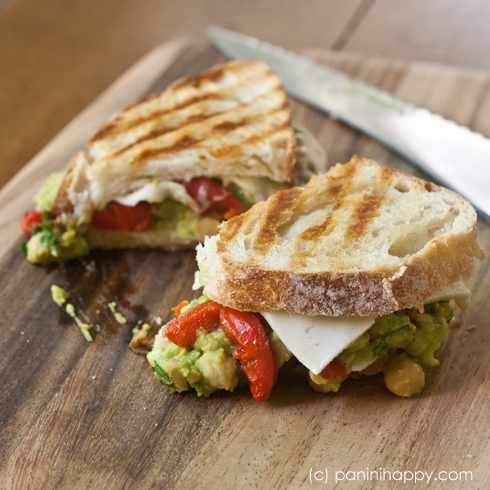 Skip the lunch takeout at your local bakery with this homemade Southwest Avocado Chicken Panini. Get a taste of classic Italian with this Spinach, Artichoke, and Sun-Dried Tomato Panini. Perfect with soup or a salad, whip up a Grilled Chicken Pesto Panini for a hearty lunch. This Smashed Chickpea and Avocado Panini is a great replacement for your go-to egg salad sandwich. Get a taste of the holidays year-round with a Turkey, Brie, and Cranberry Mustard Panini. For American Heart Month, these heart-healthy recipes will help you lighten up your diet at any age. Skip the drive-thru with flavorful Egg White, Spinach, and Feta Breakfast Sandwiches. Skip the appetizer with this Spinach Artichoke Stuffed Chicken for dinner. This Blackberry Glazed Salmon is so beautiful that no one will guess you’re trying to eat healthy. Lighten up the classic with this Creamy Avocado Greek Yogurt Chicken Salad for lunch. Do snacking with a sweet tooth right with these Apple Cinnamon Cookie Energy Bites. Skip the temptation of chips and margaritas and make these Baked Chicken Chimichangas at home instead. Curl up on the couch on cold nights with this Heart-Healthy Turkey Chili. We’re helping you eat a diet high in folate for National Folic Acid Awareness Week. These recipes high in folic acid are the perfect way to get more in your life. First up is a Creamy Farro with Pesto, Asparagus, and Peas that can satisfy your pasta craving. This warm and delicious Vegetarian Lentil Tortilla Soup is the perfect winter meal. This light and tasty Green Salad with Oranges, Beets, and Avocado is packed with folate-rich foods. 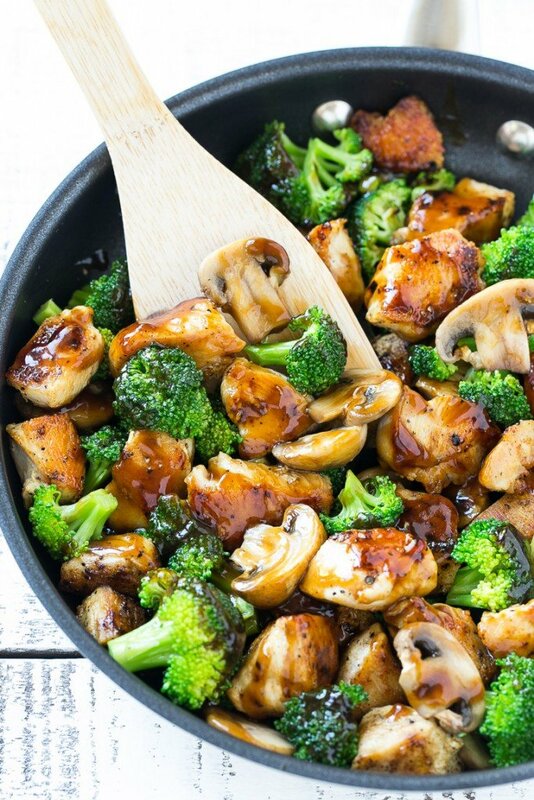 Skip the takeout and make Chicken and Broccoli Stir Fry for a healthy night in. Make easy Thai Style Papaya Salad Rolls for a light snack or appetizer. 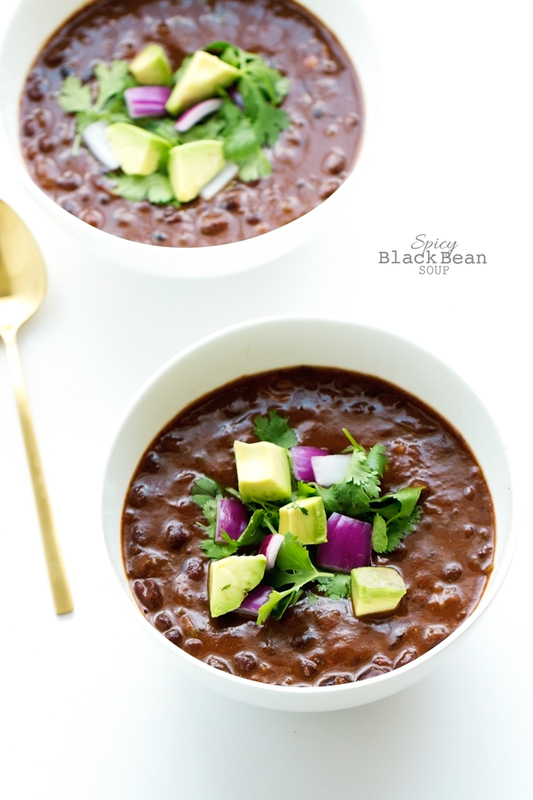 This Spicy Black Bean Soup will hit spicy pregnancy cravings and help you get your folic acid. 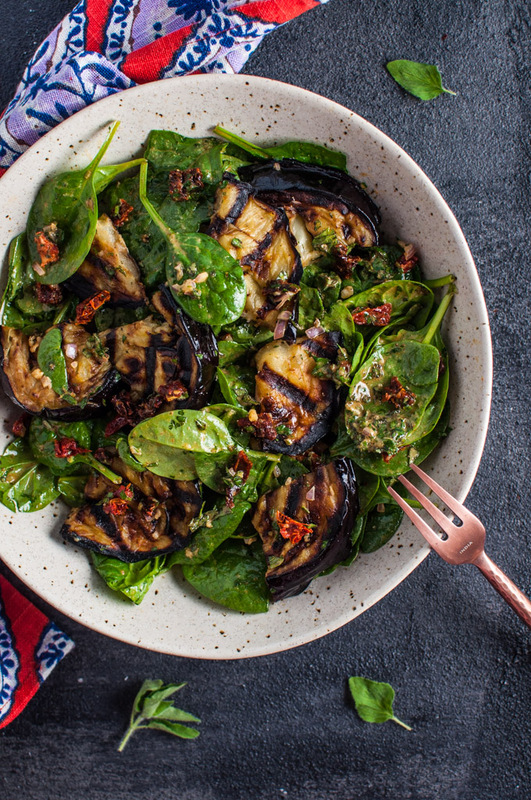 Get out your grill pan to whip up this delicious Grilled Eggplant and Spinach Salad. This week, we featured healthy spinach recipes for the in-season veggie. First up is an easy and savory One-Pot Chicken, Quinoa, Mushrooms, and Spinach. Make this Creamy Avocado and Spinach Pasta instead of traditional pesto. This Roasted Garlic Spinach White Pizza is an adult take on your takeout favorite. 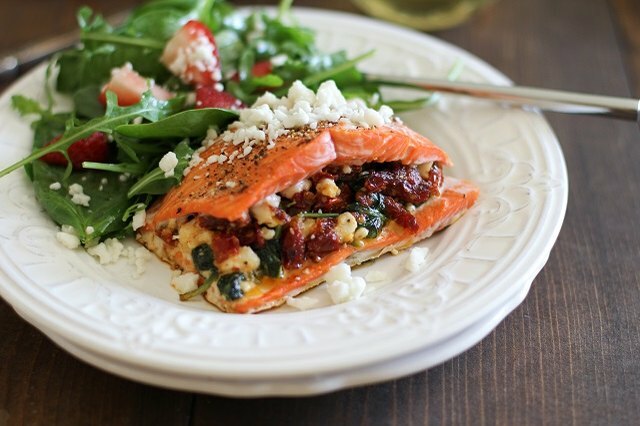 Spinach Stuffed Salmon is a healthy and interesting fish dinner. 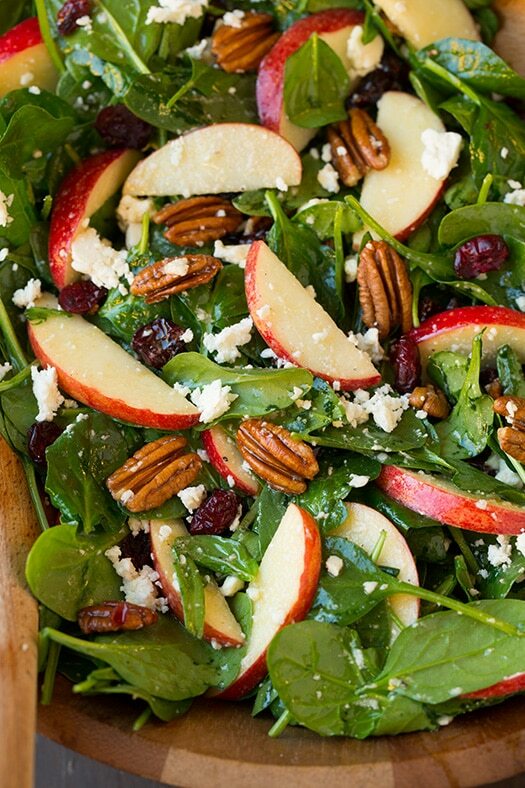 Make this tasty Apple Pecan Feta Spinach Salad with Maple Cider Vinaigrette for lunch. Spinach and Mushroom Egg White Frittata makes a healthy and light weekend brunch. 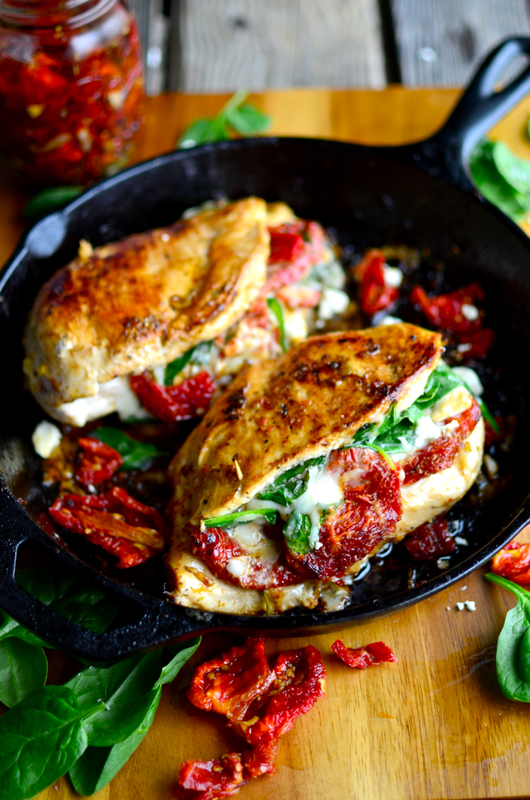 Sundried Tomato, Spinach, and Cheese Stuffed Chicken will become a family favorite. This week. we featured healthy artichoke recipes, which are in-season or a great canned staple to keep on hand this holiday season. For Meatless Monday or a show-stopping brunch, try this Spinach Artichoke Egg Casserole. These Crispy Artichoke Hearts with Horseradish Aioli are the perfect pre-dinner snack. Make Baked Chicken with Spinach and Artichokes for a comforting, fall meal. Artichoke Hummus is a lighter alternative to your favorite creamy artichoke dips. This Chicken Pesto Artichoke Naan Pizza is a light and easy alternative to delivery. Stuffed Eggplants with Ricotta, Spinach, and Artichoke make a great side or a hearty vegetarian dinner. Roasted Garlic and Artichoke Stuffed Chicken is a rich and delicious entrée any night of the week. Cleaning produce carefully before eating it is important for lots of reasons. Some people blame all foodborne illnesses on meat, but in recent years, fruits and veggies, like spinach, tomatoes, and lettuce, have played a role in many illnesses. Your fresh fruits and veggies can get contaminated by animals or harmful substances in the soil or water during farming. And after farming, they pass through many people’s hands, raising that risk even more. Start by washing your hands with soap and warm water. Always wash and cut off bruised or damaged parts of fruits and veggies before eating or preparing them. Always wash fruits and veggies before you peel them, so dirt and bacteria don’t go from your hands or knife onto the parts of the fruits or veggies you eat. Use a clean vegetable brush to scrub firm produce, like melons, squash, and cucumber. Gently rub fruits and veggies under cold, running water. You don’t need to use soap or cleaners. Dry them with a clean cloth or paper towels to help get rid of any other bacteria. Fruits like apples and pears can hold bacteria around the stem, so it’s always a good idea to wash them off right before eating them. And it never hurts to cut off the core’s outer ends before eating. Even though you don’t eat the peel of things like oranges and grapefruits, make sure you rinse them well before peeling them. You can always scrub bumpy foods, like avocados, to kill bacteria. If you’re going to use zest in a recipe, cleaning these kinds of fruits is really important. Rinse berries gently. Using a colander can make it easier to drain them of extra water. Throw out the outer leaves of all heads of leafy greens. These have lots of spaces for bacteria to hide. Soak these for a few minutes if rinsing them can’t get every spot. Things that come in a bunch, like celery, should be pulled apart before washing, so you can get each piece clean. Veggies like potatoes and carrots need scrubbed well to get all of the dirt and bacteria off, even if you’re going to peel them after. Some mushrooms can absorb water, so it’s important to not let them soak. Rinse them gently or wipe them off thoroughly with a damp cloth or paper towel. Still needs washed! And while farmers markets are a great place to get local, healthy produce, you should still wash it all carefully! Your fruits and veggies can also get contaminated after you’ve bought them. Learn more about storing your food to prevent this. And make sure your food prep is safe. You might think only people with osteoporosis or weak bones need to worry about getting enough calcium and Vitamin D. If you don’t have osteoporosis, or bone loss, and you eat a well-balanced diet, you’re probably getting the recommended daily amount of both. The good news is you don’t have to overhaul your entire diet to keep your bones in great shape. Making a few small changes can help you reach the recommended daily amounts. Milk is one of the easiest ways to make sure you’re getting enough calcium and Vitamin D.
An 8 oz. glass of fat-free or low-fat milk has around 30% of the daily recommended amount of calcium and 25% of the recommended Vitamin D. The same goes for calcium-fortified soy milk. Other dairy products like cheese and yogurt, are also rich in both. If you are lactose intolerant or just don’t eat dairy, you can still get enough calcium and Vitamin D from your diet. If you don’t think you’re getting enough of both from your diet, a supplement could help fill in the gaps. But more is not always better, and getting too much of either can be harmful to your health. Talk to your doctor to make sure you get the right amount. For recipes packed with calcium and Vitamin D, check out our Pinterest.